Doyle Bramhall II – Playing Upside Down Sounds GREAT! 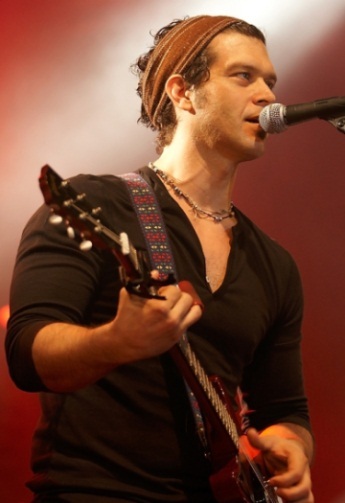 Doyle Bramhall II is the son of the late singer, songwriter and drummer, Doyle Bramhall, who grew up as a close friend of Stevie Ray Vaughan and Jimmie Vaughan. At age 16, Doyle Bramhall II toured with Jimmie Vaughan’s band, The Fabulous Thunderbirds, as second guitarist. 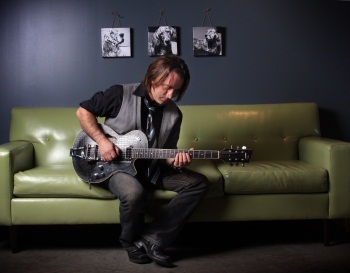 Some of Doyle’s influences include, Johnny “Guitar” Watson, Donny Hathaway, Freddie King, Albert King, Jimmie Vaughan, Stevie Ray Vaughan, Sly & the Family Stone, Lightnin’ Hopkins, and Curtis Mayfield. In 1992 Doyle formed Arc Angels with Charlie Sexton and Stevie Ray Vaughan’s rhythm section of bassist Tommy Shannon and drummer Chris Layton (also known as Double Trouble). Eric Clapton took an interest in Bramhall’s music and they have often toured and recorder together. Doyle co-wrote “Superman Inside” and played guitar on Eric’s 2001 solo album, Reptile. He occasionally joined Eric on stage. Doyle became Clapton’s second guitarist after Andy Fairweather-Low backed out of the tour in 2004. He also toured with Eric Clapton as part of his 2006/2007 world tour along with slide guitarist Derek Trucks and he performed at the 2007 Crossroads Guitar Festival at Chicago’s Toyota Park. The high string at the top of his guitar. The pick-guard is on the top. Strings are bent DOWN, not UP. The most common pick motion is an “Up-Pick”. Check out this video to see his most unusual style in action and up close. Of course, a Flying V almost looks the same either way…Enjoy the VIDEO. I was talking guitars with a buddy last week and I brought up the name of Michael Landau. He said “Michael who?” What followed was a long discussion about one of the greatest guitar players he had never heard of. 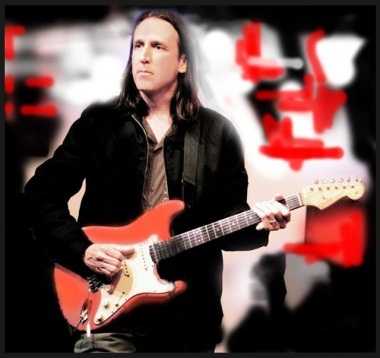 Musician and composer Michael Landau was born and raised in Los Angeles. He grew up with the music of The Beatles, Jimi Hendrix, Led Zeppelin, Cream and The Band. included band members Jimmy Haslip and Russell Ferrante. At age 19 he joined Boz Scaggs for a world tour and by the age of 20 he started to do session work on the recommendation of long time friend Steve Lukather. Some session highlights over the coming years would include Pink Floyd, Miles Davis, Joni Mitchell, BB King, James Taylor, Ray Charles and Rod Stewart. There is a complete session discography at allmusic.com with over 700 records and soundtracks listed! Michael currently tours and performs with his own group and a new band with Robben Ford, Jimmy Haslip and Gary Novak called “Renegade Creation”. …but you certainly have heard him play. 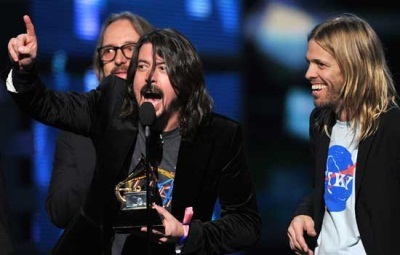 Dave Grohl and The Foo Fighters took home 5 Grammy awards last Sunday night, including Best Rock Album. But the most impressive memory of the night may have been Dave Grohl’s acceptance speech for Best Rock Performance. “Dave Grohl Grammy Speech” is the second subject that comes up when you type his name into Google. Rightfully so (in my opinion). I heard this LIVE last Sunday night…and when I did, I thought to myself: “wow…never a more profound statement about music”. So what do you think? The internet has been a BUZZ for 3 days about this. Without being overly philosophical or broaching the “record-label-bashing” position, my take was really very simple. As guitarists, many of us (guilty) strive to own (purchase) the next great guitar or the next great amp or the next great effects rack. I suppose we think (as I often do) that it will make us better musicians. But according to Dave Grohl, that’s not where music really comes from. Music is born in your head and music is born in your heart. As guitarists, it works it’s way down to our hands. I have always said that a great player can make a $200.00 guitar sound exceptional and an average player can make a $4,000.00 guitar sound…average. So learn your craft. Practice your guitar. Spend money on lessons, not gear. Then go out into your garage and play! I believe that is what Dave Grohl was saying. At least that’s what I heard. -GuitarDaddy. One year ago today the guitar world lost the legendary Gary Moore when he passed away suddenly from a heart attack while on holiday. He had an amazing talent and influenced for so many players. I knew this was coming. I really did. Honestly, I thought it would come earlier than it has, perhaps even a year or more ago. But there is no reason to delay it further… now is the time… so here goes…. I receive about a dozen emails a week from GuitarBUZZ readers. Most are very complimentary and thank me for posting a story or review that they had not read anywhere else. Well, this post is my answer to that question. Thanks for your email. I truly appreciate it. I often wonder if anyone reads this crazy passion of mine. The fact is, even if nobody read it at all, I’d still do it! To accurately answer your question, I need to share something with you. I need to take you back to the very first post on TheGuitarBuzz.com. I wrote it on December 31, 2008, a little over 3 years ago. My first Joe Bonamassa concert was the inspiration for "TheGuitarBuzz.com"
The concert was 2 hours away and it was well after 1:00am when I finally got back home. But even after a 10 hour work day, a 4 hour round-trip drive between Phoenix-Flagstaff and a 2+hour concert, I wanted to play my guitar as soon as I walked in the door. Why did I want to play my guitar when I should have collapsed into bed? It’s simple. I left that concert inspired because that night, I found my GUITAR HERO! The truth is, Joe Bonamassa inspires me to play and he also inspired me to create this blog. I fell in love with the guitar all over again that night and when I finally did lay down in bed, the inspiration to create TheGuitarBuzz came to me. I did not sleep much…for several days. Guitar Heroes have tones you can identify from the first note you hear. From jazz to classical and from punkers to shredders, these are the guys that rock my world, your world and the world of countless other guitar lovers everywhere. When I listen to my Hero’s play, I am reminded why I play. Oh by the way, in case you think Joe Bonamassa is the only guitar player I listen to…get this: I have over 12,000 songs on my iPod. Only 169 tracks are by Joe Bonamassa (yes, that’s his entire library of recorded songs plus a few rips from YouTube! )… but Joe is still my GUITAR HERO! I think he’s a Guitar Hero to a lot of other players as well. In the past few weeks, his latest album “Dust Bowl” was nominated for “Best Rock Blues Album” and the album “Don’t Explain”, a compilation album Joe did with Beth Hart was nominated for “Best Contemporary Blues Album”. But don’t think that Joe Bonamassa is “just a blues player”. No RR, not anymore…not at all. 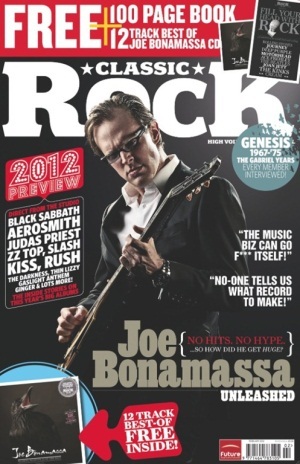 It has taken a while for the media to catch up but finally, this month, Joe Bonamassa was plastered on the cover of “Classic Rock Magazine”! What’s that title again? “Classic Rock”! Any why not? Alongside his brilliant solo career, Joe is a founding member of Black Country Communion, the band who has released 2 scorching rock albums, a live DVD and was named “Breakthrough Act of the Year” at the most recent Classic Rock Roll of Honour Awards. Listen RR, I will admit that Joe gets a lot of press on TheGuitarBuzz. Consider me guilty as charged. But a quick glance at my Tag Cloud will reveal the dozens of players and bands who have been referenced in the over 400+ blog posts that have followed that New Year’s Eve 2008 launch. So where to from here? Well, rather than post yet another Joe Bonamassa post later this week, I will merge it into this one. That way the overall count won’t be as skewed! My plan was to post this video later in the week, but after further thought I believe it fits perfectly right here as the video begins with Joe and his personal reflection on how his career got to where it is today. The video is a first-class production from Jim Dunlop, introducing Joe’s “Signature Pedals” — the Cry Baby and the Fuzz Face. The truth is, RR, there’s a lot to write about Joe…and I doubt I will stop anytime soon. Would you stop writing about your hero? Of course not. And neither will I. 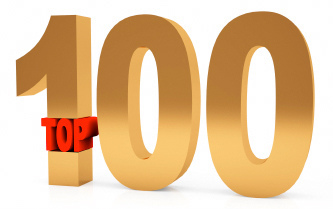 Do “Top 100” lists really matter? Or, to look at it a different way…does it depend on who wrote the list? Rolling Stone Magazine recently published their list of the “100 Greatest Guitarists” and it has stirred up an emotional debate amongst readers who’s favorite player was snubbed from the list. Joe Bonamassa (who was not on Rolling Stone’s list) published his own list…and while the majority of his forum readers agree with him, some followers chime in with even more omitted names. A quick Google search uncovers more lists, like TruFire.com’s list of “100 Gifted Guitarists You Should Know“. Gifted guitarists? So where do you start and who do you believe? Unless the list is confined to truly measurable criteria like: “The Top 100 Solo-Guitar Players Ranked by Album Sales From 2001-2009”, then the author has listed who they believe are the best players — which makes the list truly subjective and based on the opinion of the writer. Recently,the 2012 Grammy Nominees were announced. That’s another list that has proven to be very subjective. Case in point, a certain well-known blues guitar player with 12 albums, 9 of them #1 selling, who sells out 200+ concerts worldwide year after year did not make the list. He was not nominated. In fact, he never has been! James Marshall “Jimi” Hendrix was born November 27, 1942. To say that Jimi Hendrix was a guitarist, singer and songwriter is like saying Michael Jordon was a basketball player. 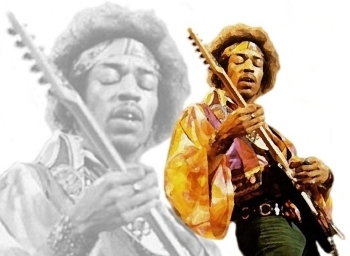 To many people, Jimi is considered to be the greatest electric guitar player in the history of rock-n-roll music… and don’t expect GuitarDaddy to dispute that! Certainly he was one of the most important and influential musicians of his era across a wide variety of genres. He said often that his playing style was influenced by blues artists such as B. B. King, Muddy Waters, Howlin’ Wolf, Albert King and Elmore James. After his initial success playing in Europe, he achieved “rock-star” fame in the United States with his 1967 performance at the Monterey Pop Festival. He went on to headline the iconic 1969 Woodstock Festival and the 1970 Isle of Wight Festival. Hendrix favored raw overdrive and amplifiers with high gain and treble. 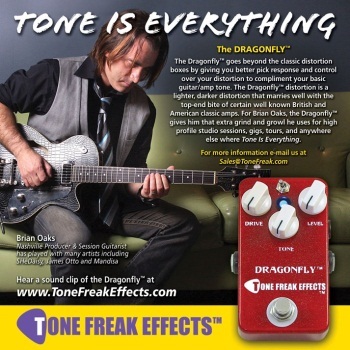 It was that combination that helped him fine-tune the previously undesirable technique of guitar amplifier feedback. Simple stated, Hendrix turned the undesireable into the desirable. He was rewarded, and so were we — every time we heard him play. 21 years ago today, August 27th, 1990, the guitar world lost Stevie Ray Vaughan and the entire world lost a musical legend. Stevie’s memories and his music still penetrate our spirits and will do so…forever. I never had the chance to see Stevie play live. It’s something I will eternally regret and if not for the huge “video vault” know as YouTube would be something left only to my imagination. Once again, Thank You YouTube! Earlier this month, three videos were posted by YouTube user: “gstarvids” that have been hidden away for years. Sit back and watch in succession – as an observer of an SRV soundcheck. Soak in 18 minutes of musical genius. This Video is song #1 of 3 from the sound check at the Syria Mosque in Pittsburgh, PA 1-24-86. Video Photographer Greg Savage has captured SRV doing the sound check, and these videos have never been public until now. This Video is song #2 of 3 from the sound check at the Syria Mosque in Pittsburgh, PA 1-24-86. This Video is song #3 of 3 from the sound check at the Syria Mosque in Pittsburgh, PA 1-24-86. The audio is the monitor mix to the camera since a board patch was not available. Haley McClean: Where Did She Come From? She came from a seriously unconventional family long on throttling everything they can out of life. When she was six years old, Hayley’s parents refitted a 45-foot Hawaiian charter sloop and together with her two older sisters, the five took off sailing for two years down the Pacific Coast to Mexico. “It makes or breaks you as a family” says Hayley, “and it certainly set the tone for me. Family is the most important thing for me and we’ve always been really close.” On top of home schooling, everybody had chores from standing night watch to swabbing decks but there was still a lot of down time and with dad’s old Fender acoustic on board, there was a lot of music. The girls soon figured out harmonies to Beatles tunes and nursery rhymes and even on their return to Vancouver, summer sailing jaunts always meant music. Read Haley’s full bio and hear more of her music on The Official Haley Mclean Website. Special thanks to one of my favorite blogs, StratoBlogster, for introducing me to Haley!